The final presentations of the studio project at LTH are over, it has been inspiring to follow the students’ progress! 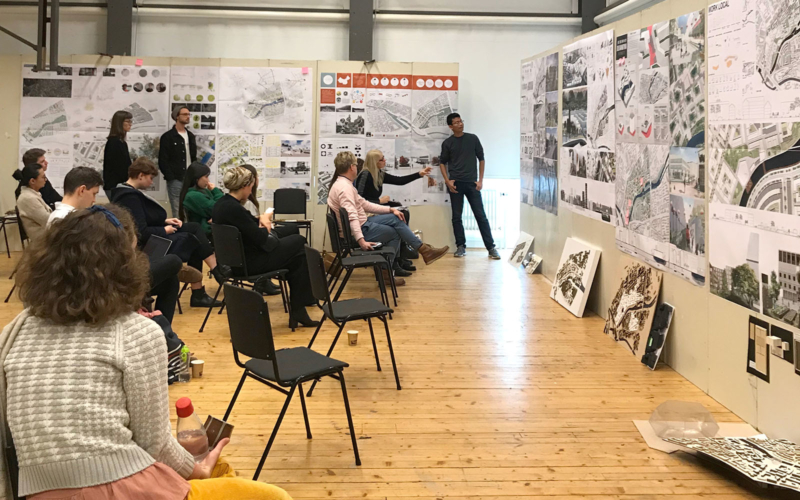 For the second year, Delia has been taking part in the studio project Urban Dynamics in the International Master’s Degree Programme in Sustainable Urban Design at Lund University. She has been visiting the program three times this autumn as part of the guest jury. 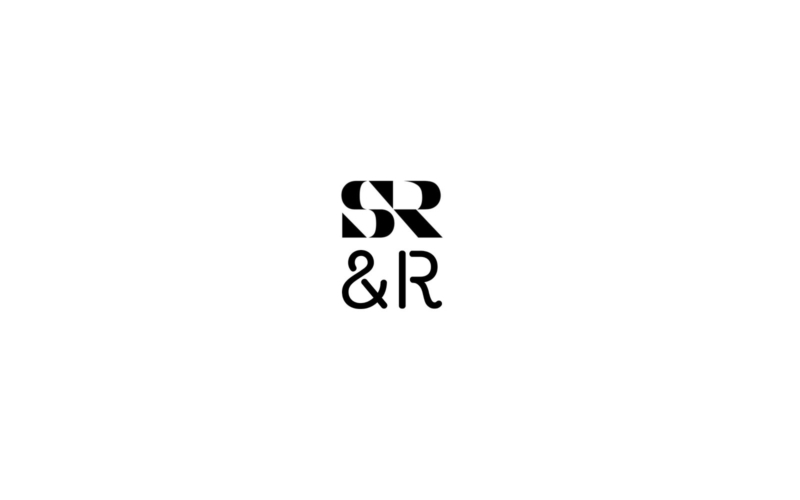 We are proud to announce that two of our projects have been awarded by APR, The Online Architecture Awards Portal. 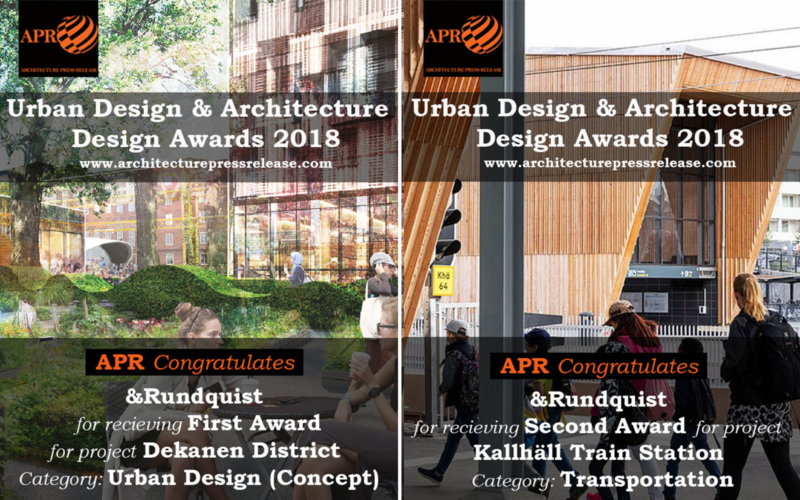 Our proposal for the redevelopment of the Dekanen District in Malmö, done together with Sydväst arkitektur och landskap, has received the First Award in the Urban Design Concept category. Kallhäll Station was distinguished with the Second Award in the Transportation category. Earlier this year, Kallhäll Station also received the Second Award in the Global Architecture and Design Awards. 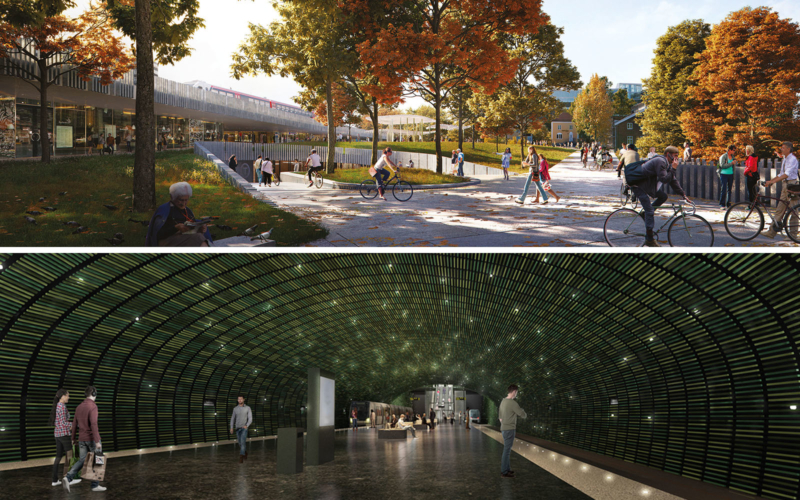 Our proposals for Vækerø and Lysaker stations have received second place in the design competition for the extension of the metro network in Oslo, Fornebubanen. Earlier this year, together with Saaha Architects and Degree of Freedom Engineers, we have been selected out of 84 international groups that applied for prequalification to compete for the design of both Vækerø and Lysaker stations. We recently returned from an inspiring study trip to Andalusia! 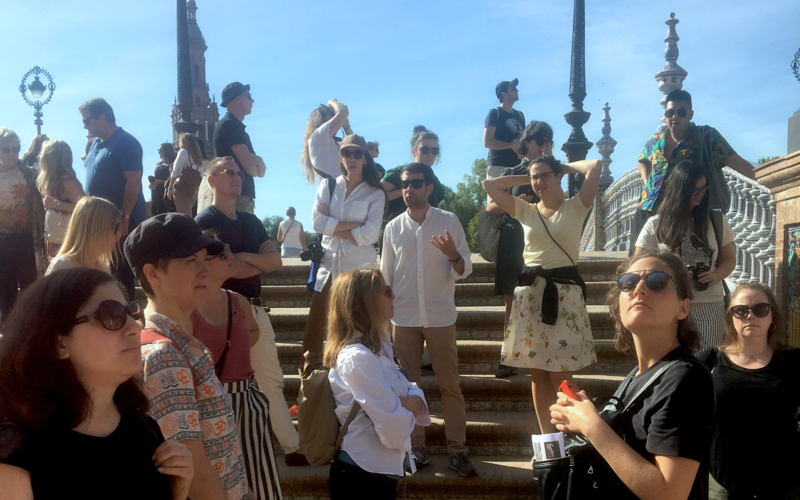 We spent four days between Malaga, Sevilla and Cordoba where we visited both historical landmarks, as well as contemporary infrastructure and urban design projects. The Aga Tramway Depot opened for a guided tour earlier this week. &Rundquist’s Erik Griffiths has held a presentation about the architecture process behind the building of the depot. 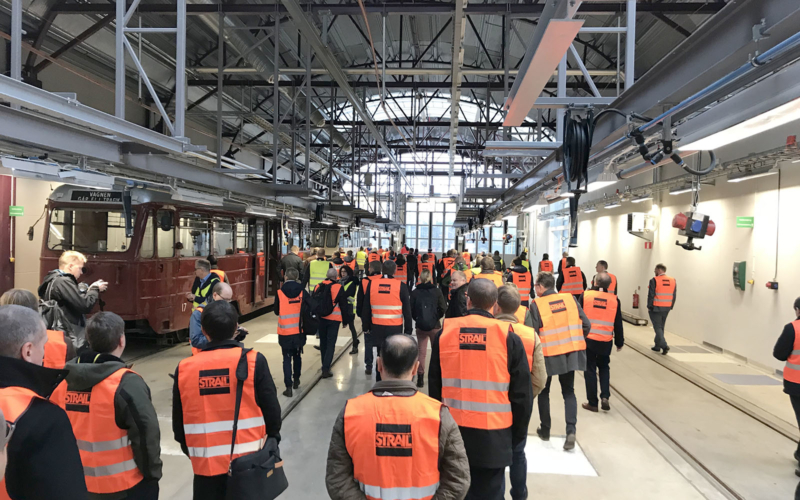 The visit was organized as part of the Light Rail Day 2018 event in Stockholm. 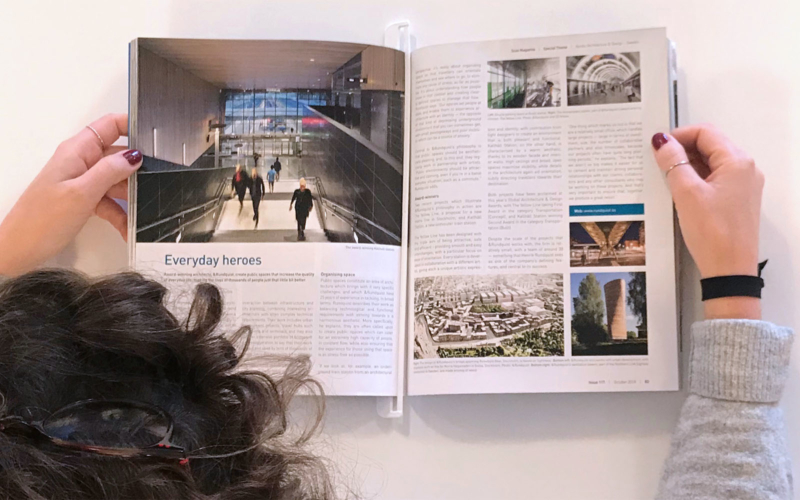 Read about our work philosophy and award-winning projects, The Yellow Line and Kallhäll Station, in the latest number of Scan Magazine. FIRST SPADE IN THE GROUND ! The work on our bridge over the Djurgårdsbrunns Bay in Stockholm has started. 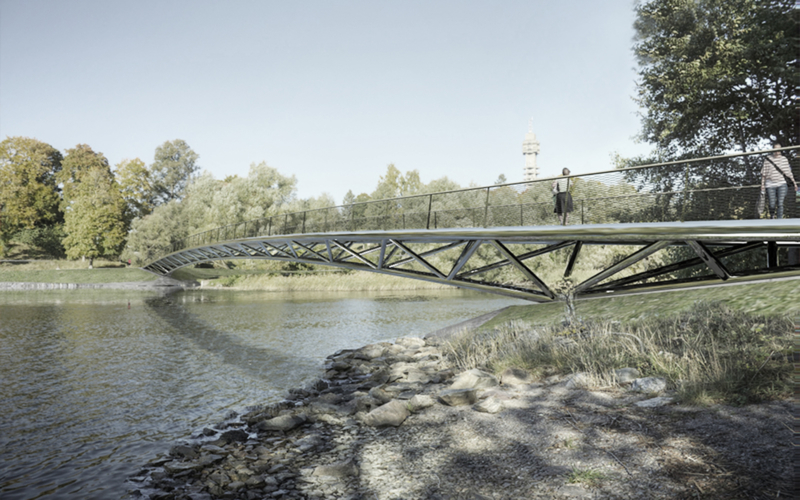 The bridge will link the Museum Island with Rosendal and the inauguration is expected to take place in autumn 2019. Henrik Rundquist participated in a talk about the challenges of bridge building on Tuesday’s episode of P1-morgon on the Swedish Radio. The talk took place on the occasion of the world’s longest bridge over the sea being inaugurated.